Now, don’t misunderstand us here – these are spiced beef tacos, and opposed to spicy. 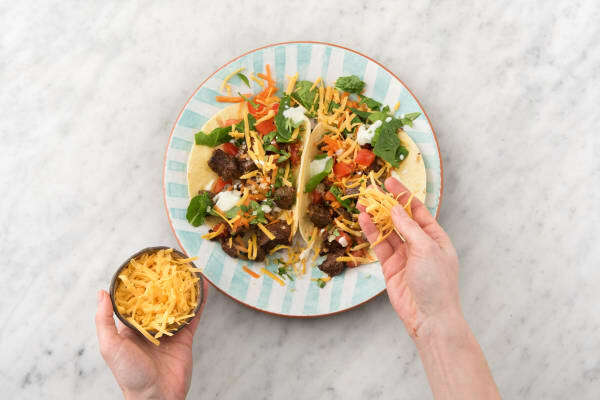 Just because there isn’t a load of chilli here doesn’t mean these tacos aren’t super tasty. But feel free to add your own hot sauce if you’re a heat seeker! 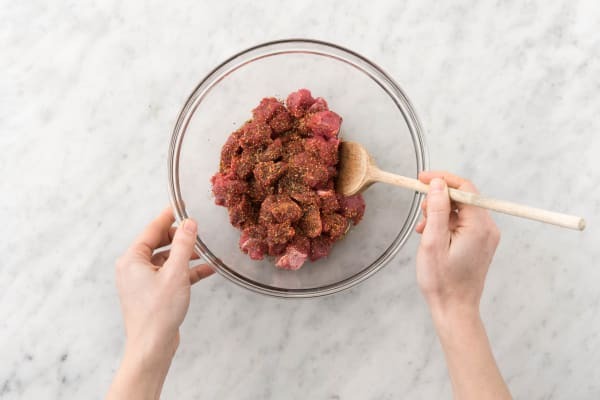 In a medium bowl, combine 1/2 the olive oil with the taco spice blend and diced beef. Season with salt and pepper and toss to coat. Set aside to marinate. Roughly chop the baby spinach leaves. Dice the roma tomato. Grate the carrot. Grate the Cheddar cheese. Roughly chop the coriander leaves. 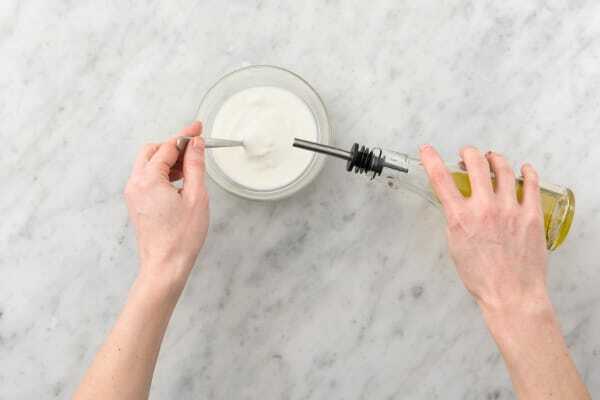 Juice the lime and combine with the Greek yoghurt and remaining olive oil in a second medium bowl. Season to taste with salt and pepper and stir to combine. Heat the butter in a large frying pan over a high heat for 1-2 minutes, or until melted and darkened in colour. Add the diced beef and cook for 1-2 minutes, or until just browned. 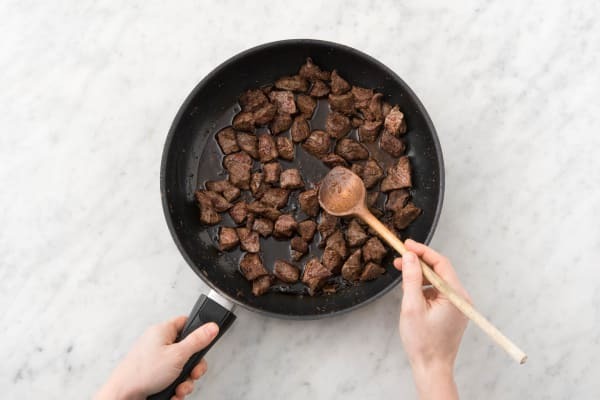 Cooking the beef in browned butter helps it cook quickly whilst remaining tender in the middle. 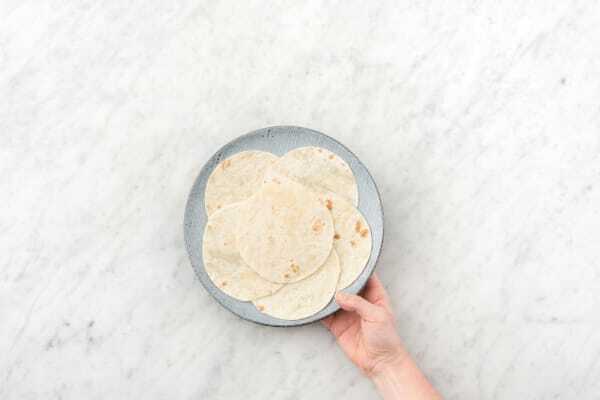 Meanwhile, heat the mini tortillas in a microwave or sandwich press for a few seconds until warmed through (if using the microwave, place tortillas on a plate first). 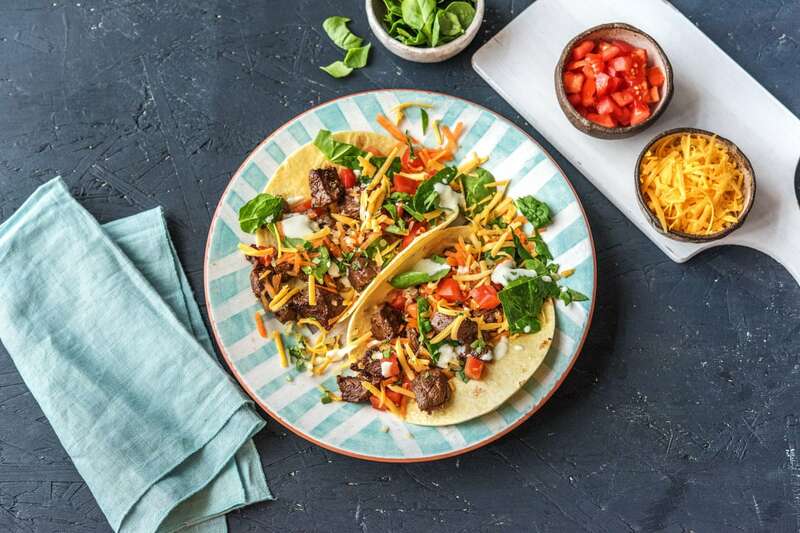 Top each mini tortilla with some chopped baby spinach leaves and the Mexican beef. Spoon over some tomato, carrot, Cheddar cheese and a drizzle of the zesty lime yoghurt. 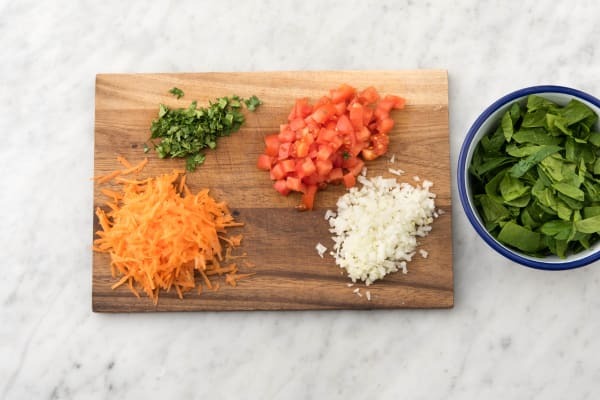 Sprinkle over the coriander.